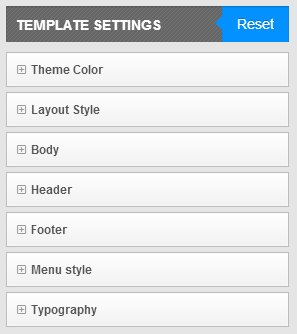 This guide will help you install SM Kampe themes step by step. 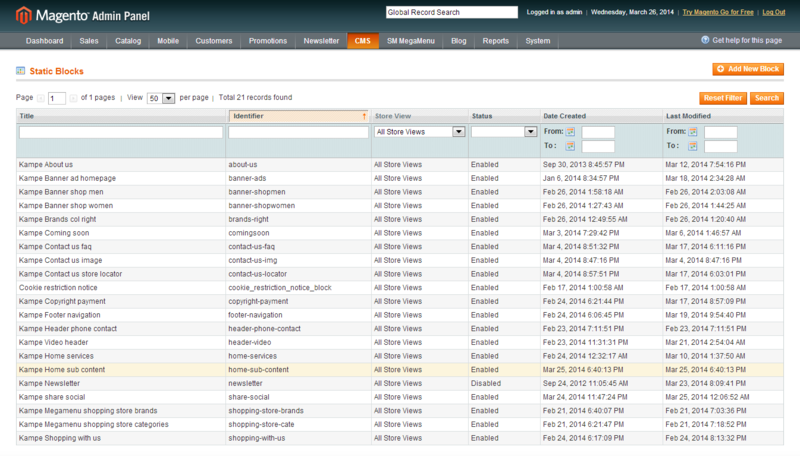 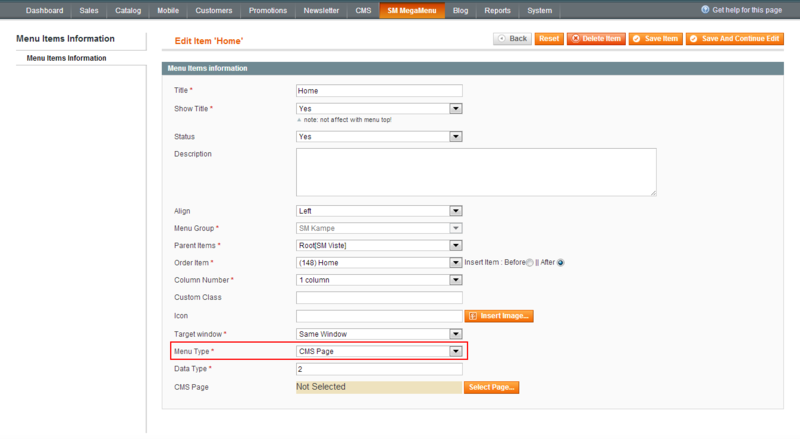 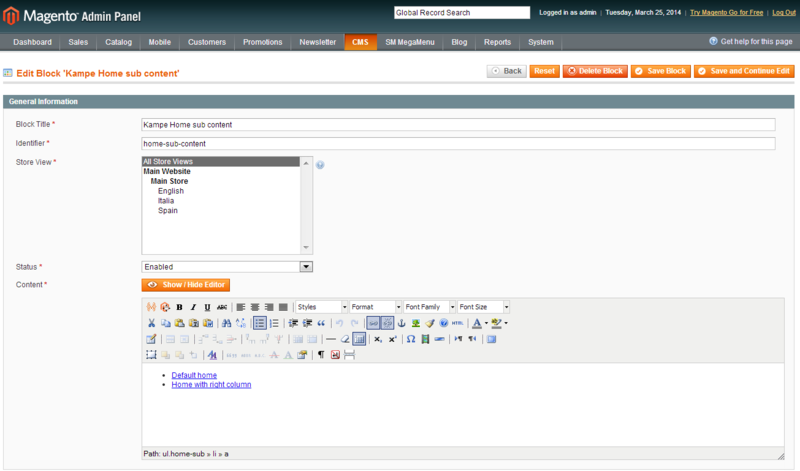 + “Home Content” has Menu Type (CMS Block). 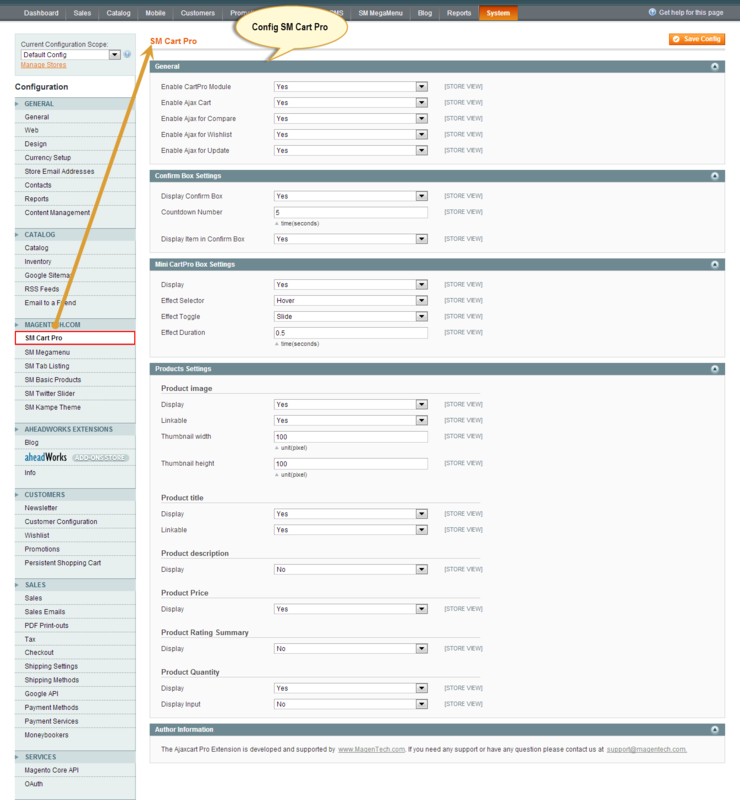 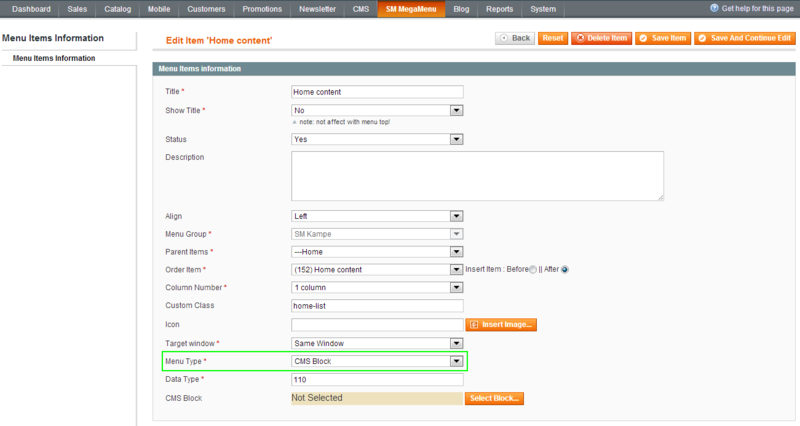 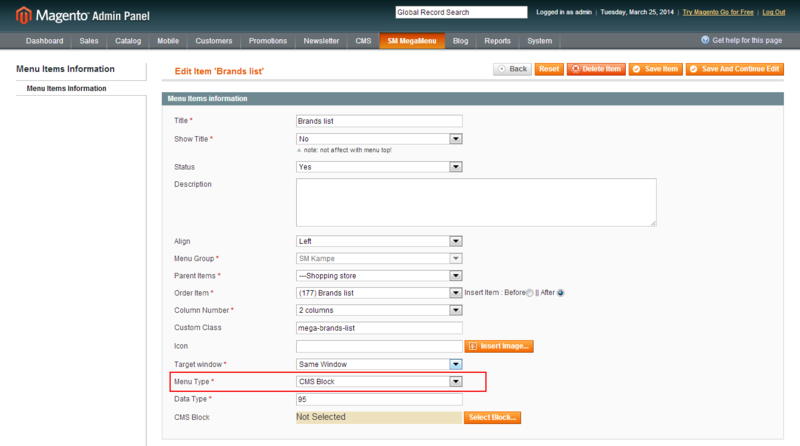 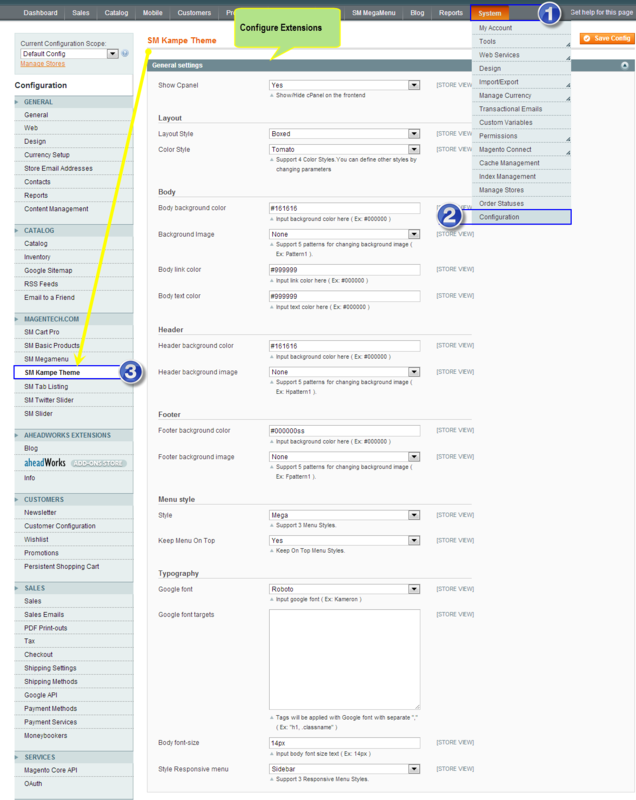 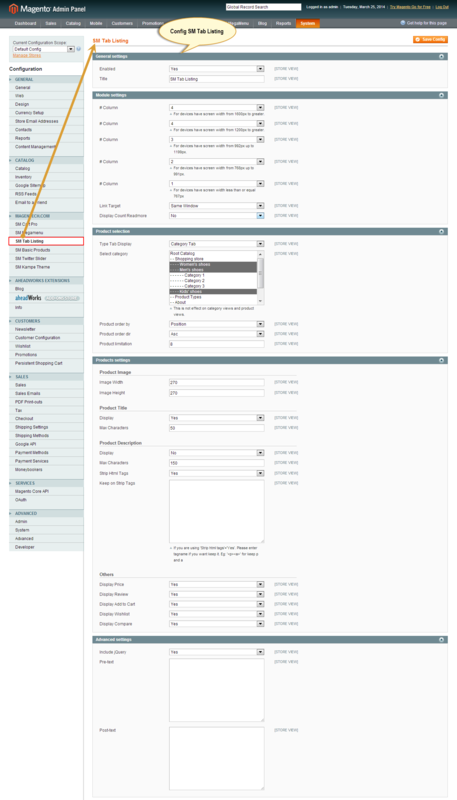 To config “Home content”, Please go to CMS >> Static Blocks >> “Kampe Home sub content”. + “Category images” has Menu Type (CMS Block). 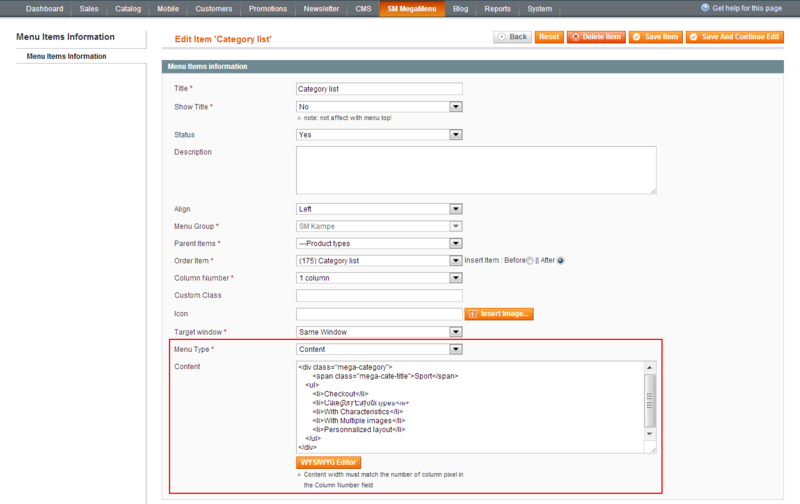 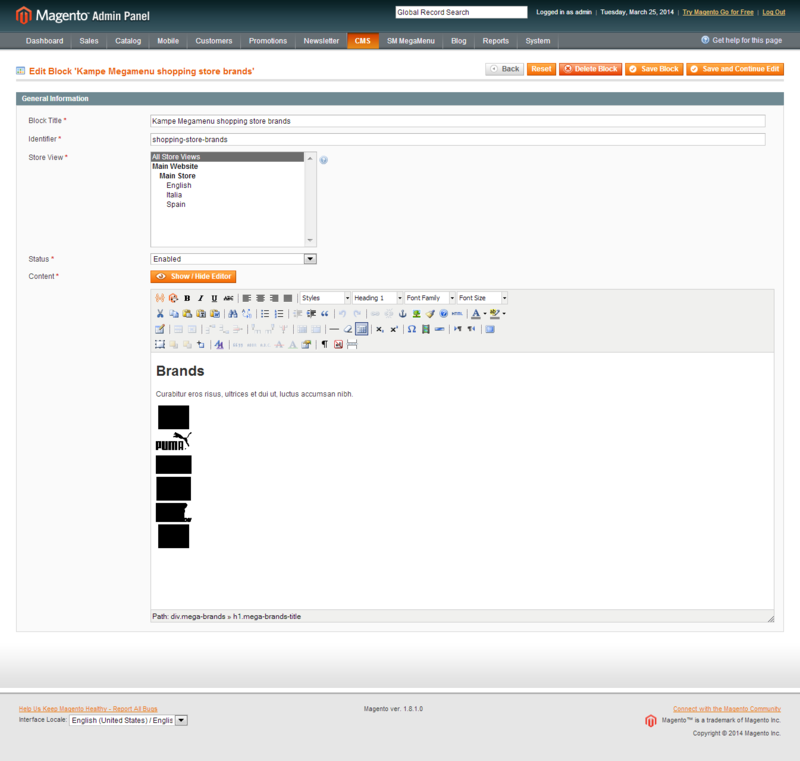 To config “Category images”, Please go to CMS >> Static Blocks >> “Kampe Megamenu shopping store categories”. 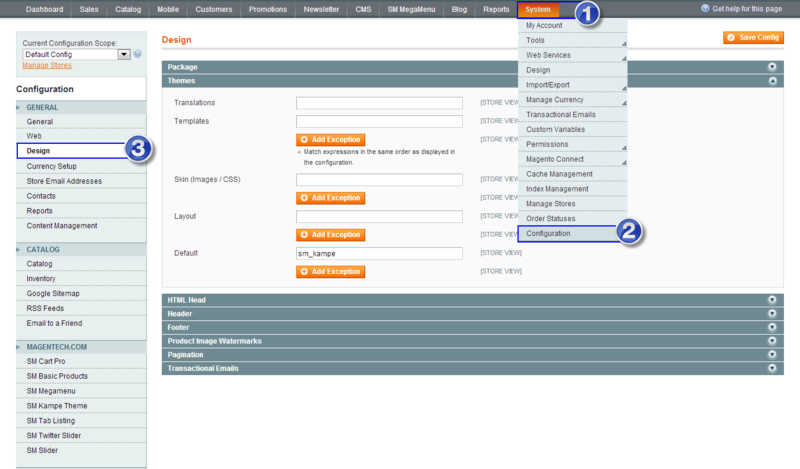 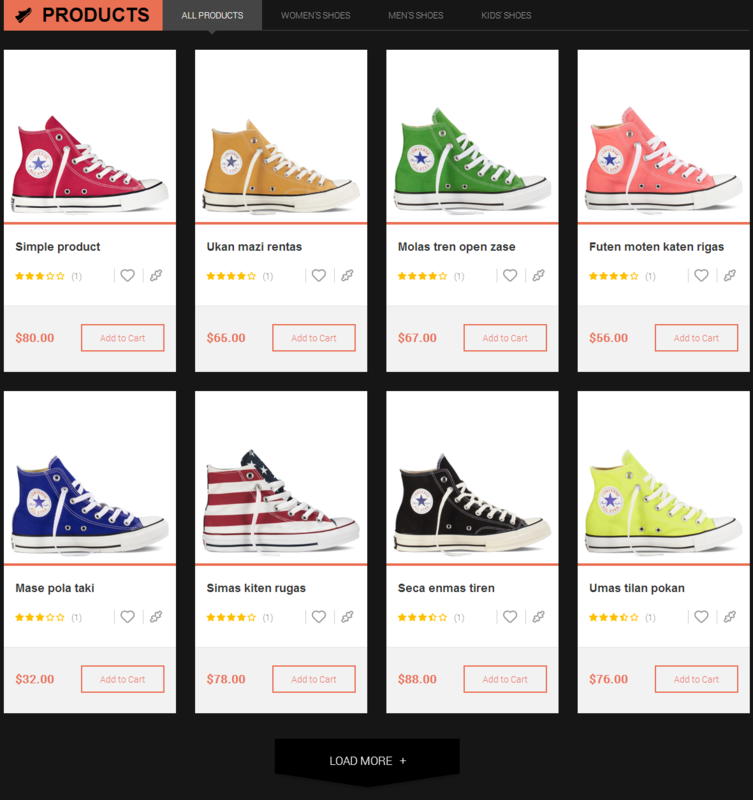 + “Brands list” has Menu Type (CMS Block). 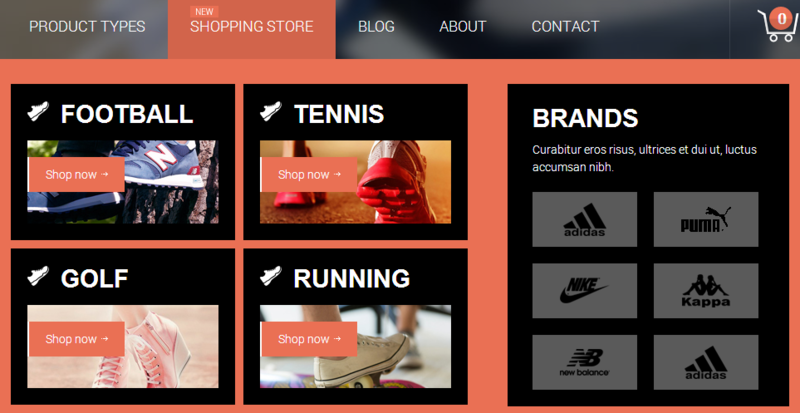 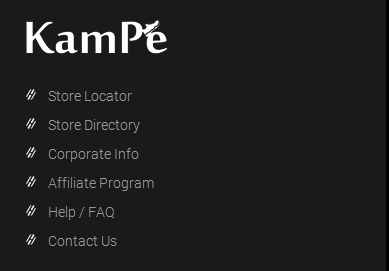 To config “Brands list”, Please go to CMS >> Static Blocks >> “Kampe Megamenu shopping store brands”. 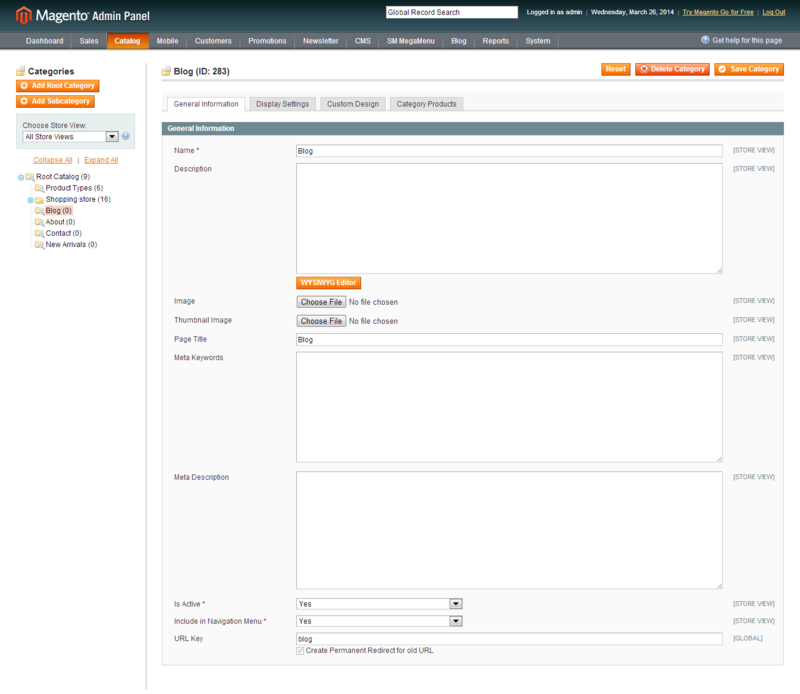 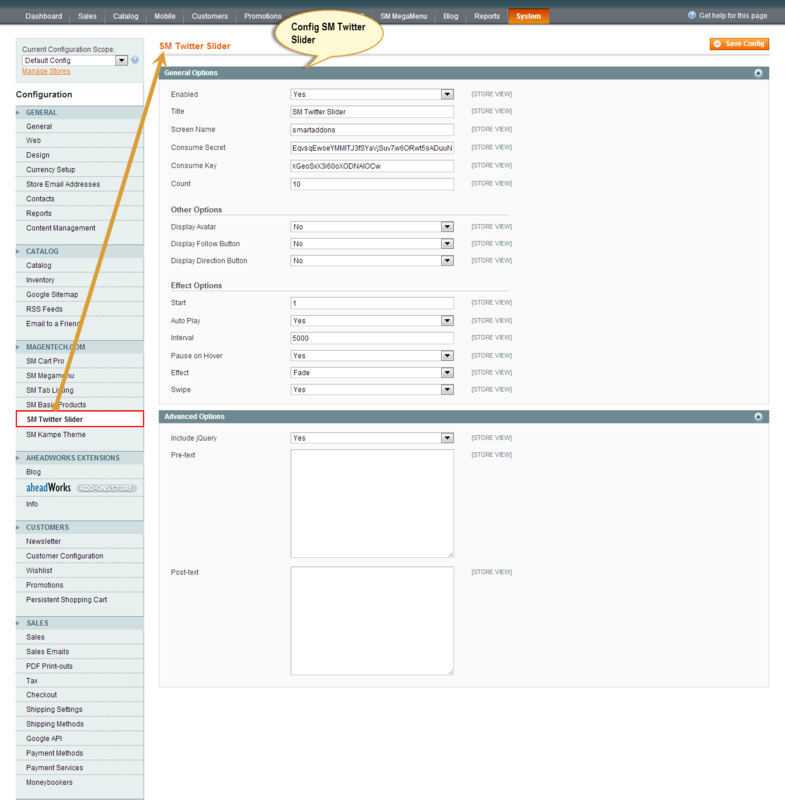 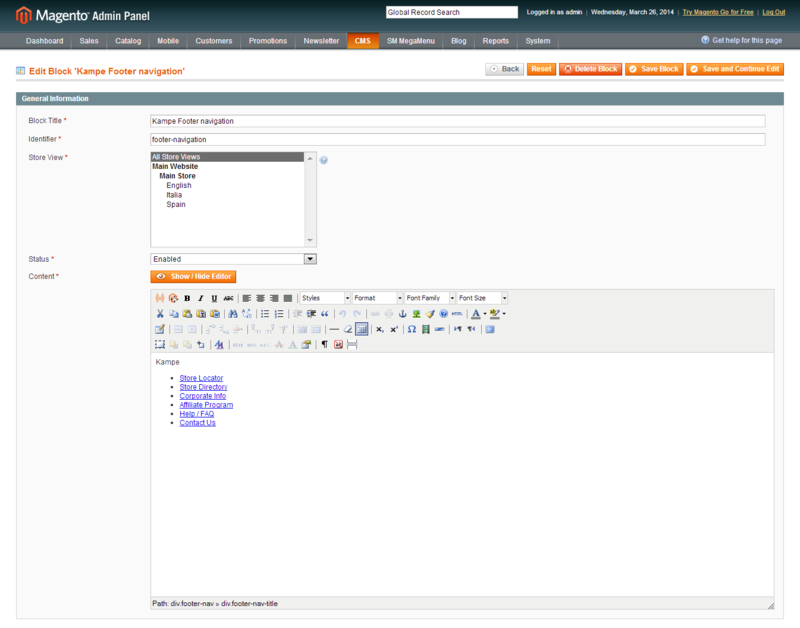 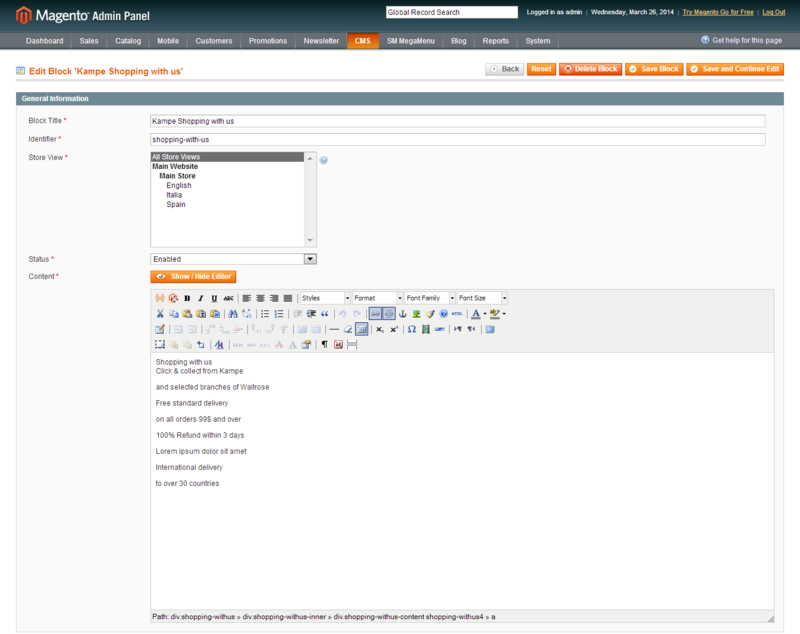 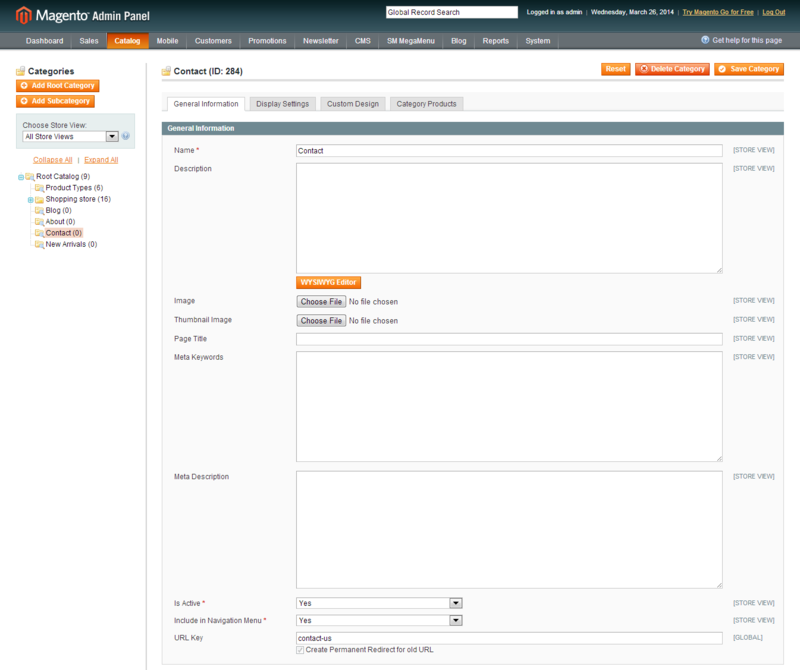 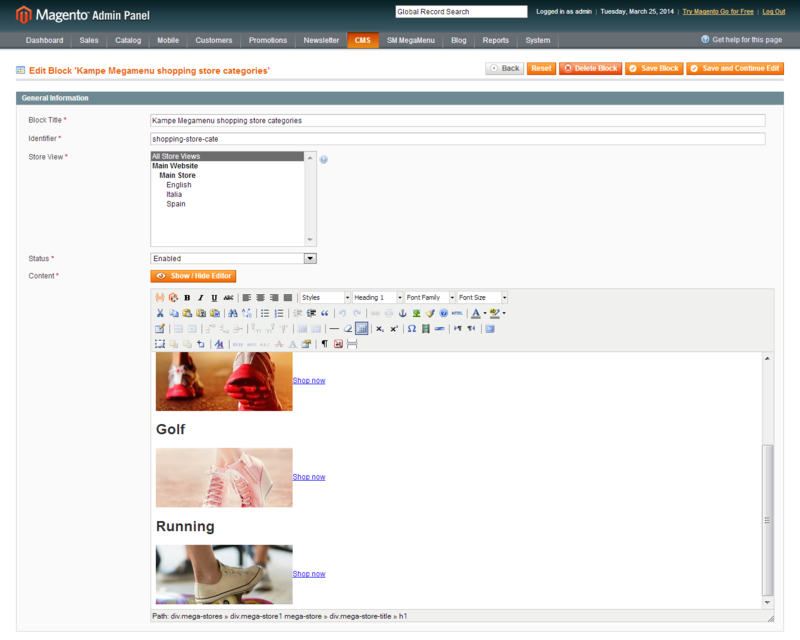 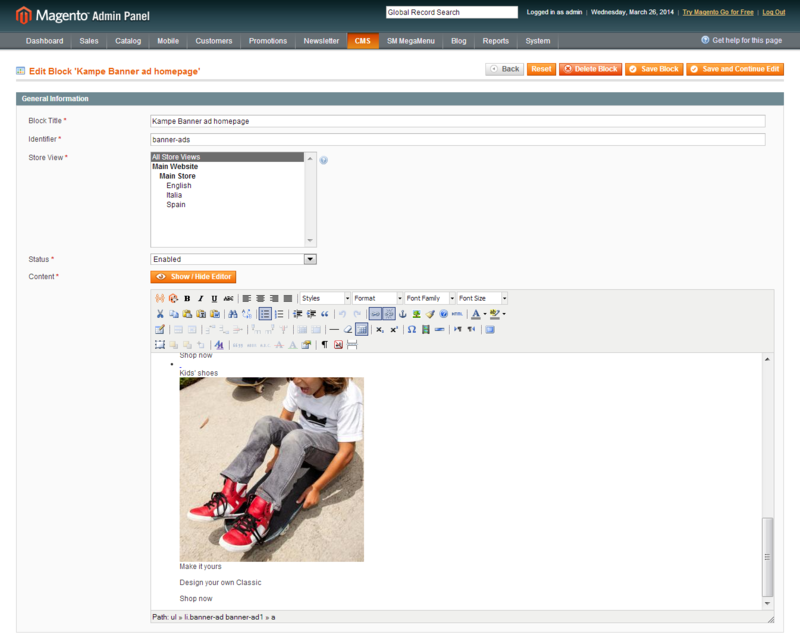 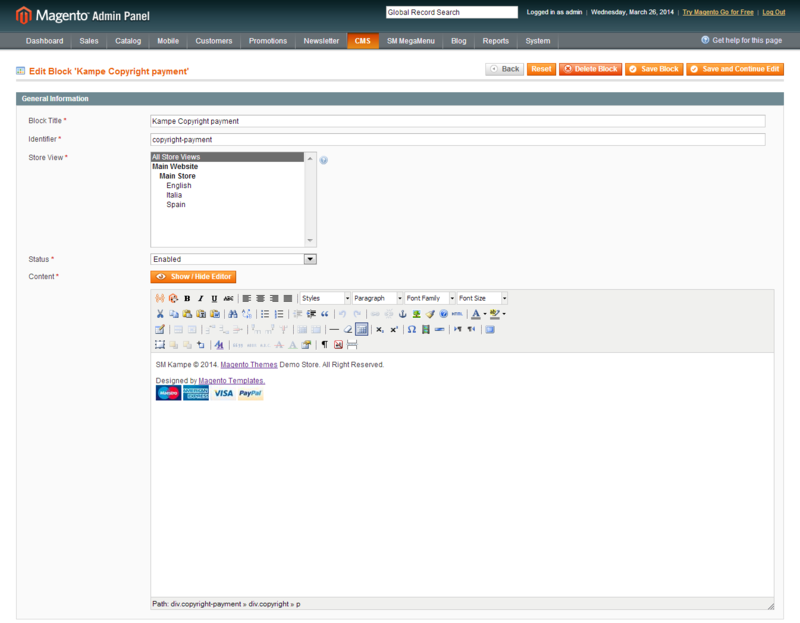 Note 1: We used Blog – Community Edition extension for blog page. 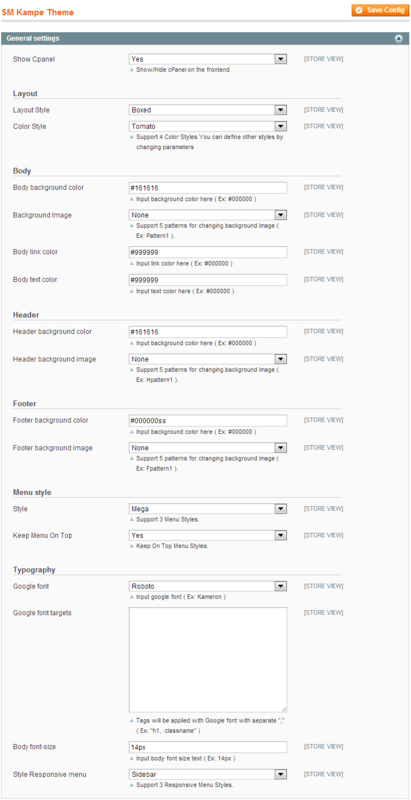 To install this extension, please click here. 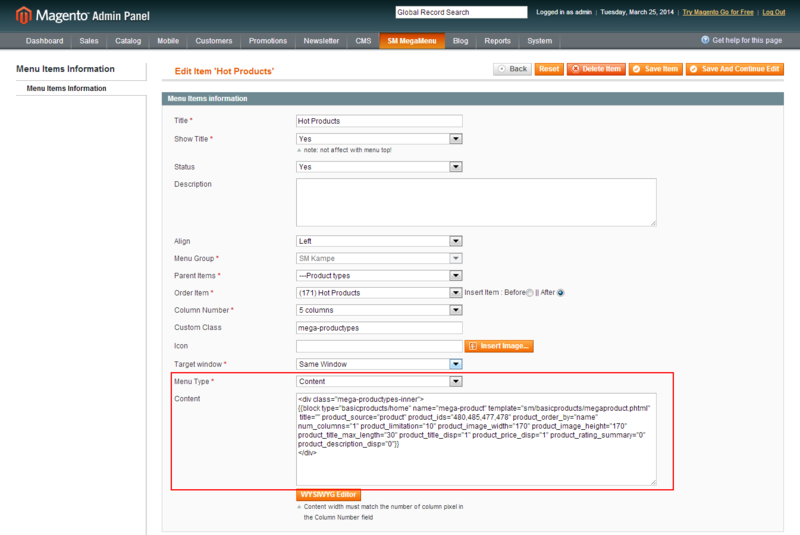 Note 2: The “newsletter-footer” position is a block subscribe newsletter (the default of magento).